Large - $80.99 Only 1 left! X-Large - $80.99 Only 4 left! We’ve all heard the tragic tale about the little and innocent Snow White. She’s the most lovely lass in the world and it just drives her step-mother crazy. What kind of old lady witch gets that jealous over a kid is beyond us, but, we admit that we’ve seen a number of stories about the idea. 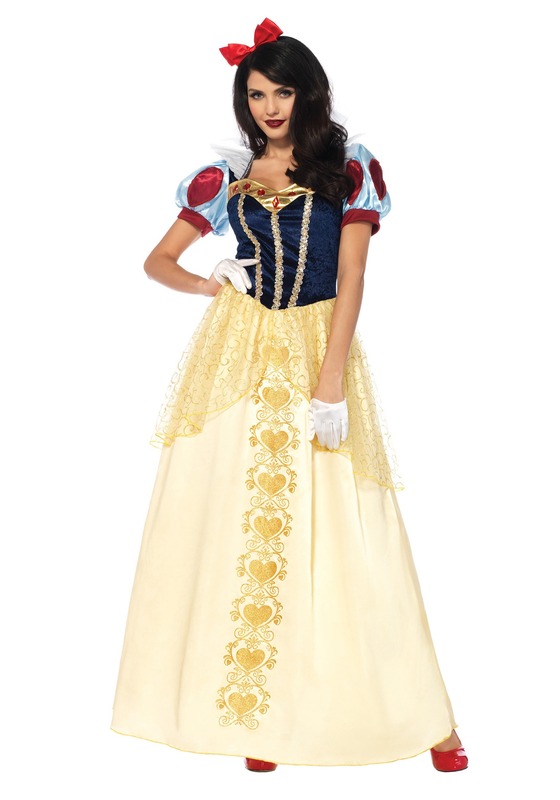 The thing is… Snow White really wasn’t that beautiful. The views we’ve seen show a gal with a face so pale she looked practically vampiric and her clothes were quite simple even before the dwarves got to her. What exactly was that mirror even thinking! However, the story remains generally true. What makes one generation beautiful changes over the years, we suppose, and it only brings several questions about how Snow White might garb herself in a more modern version of the fairy tale. Anyone hoping to take on the role of Snow White might find the task pretty daunting, so we've compiled a few handy tips to help you transition into the role. The first thing you need to know is that hanging around seven dwarfs can be tiresome, so try to stay rested up. The second thing you need to know is that it's never a good idea to accept apples from strange women. 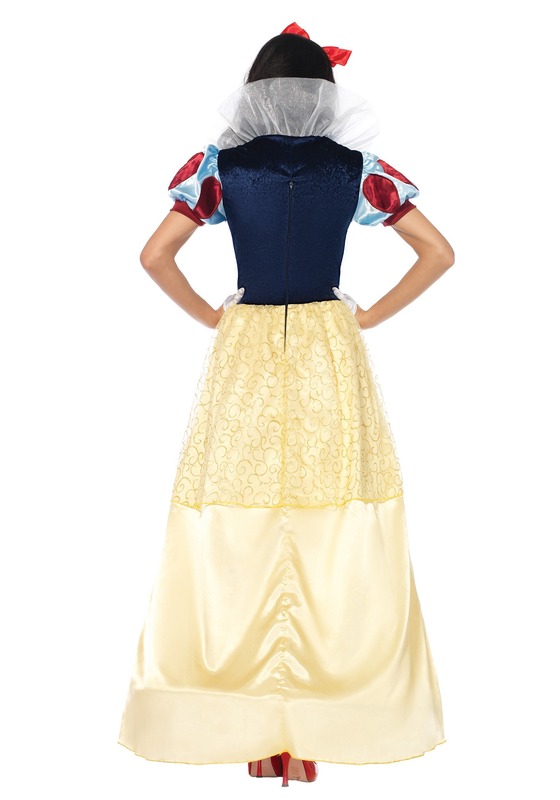 Lastly, you'd better have a good princess outfit! We can’t really help you with the rest and evasion of fruit-toting crazy ladies, but we can sure help with the dressing room with this Women’s Deluxe Snow White costume. The dress has the classic blue corset, along with a beautiful golden skirt with glittering hearts and vines embroidered down its front that will have you looking like a fair princess in no time. The lovely bodice has a golden braid and faux gem trim with puffy satin trim. Then, the perfectly accented red satin hair bow assures that mirror will know exactly who is the loveliest in the land! Just… remember that rule about the produce ladies!